This weekend has 5 games to watch on NBL.tv with the Adelaide 36ers and New Zealand Breakers having two games across the weekend. Friday night's first game see's the Townsville Crocodiles hosting the Adelaide 36ers. The 36ers are on a winning streak and it will be tough for the Crocodiles to stop the number 2 team in the league. Townsville are coming off of their first away win of the season last week against the Melbourne Tigers and are looking to be playing some great basketball, lead by their two impressive imports Josh Pace and Brian Conklin. Pace has proved he can score and lead the fast break and Brian Conklin has dominated in the paint. Townsville's starting five players will certainly be a good match up to the Adelaide 36ers however its the 36ers depth that has shown how strong a team they really are. Head Coach Joey Wright has at times subbed all starters off the court and brought on nearly his whole bench and they haven't dropped a beat. But when you've got an up and coming point guard like Jason Cadee, a centre as big as Luke Schencher and the strength and athleticism of Mitch Creek and BJ Anthony its a bench that could soon be a starting five with new teams coming into the league. Then when you have a player like Gary Ervin who can close out the close games like no one else in the league the 36ers should be able get the W in a tough away game. Townsville will fight to the end but i think Adelaide's depth should carry them over the line to win by 8. Centrebet has the Crocodiles at $2.75 for the win and the 36ers at $1.45. Probably best to let this one go unless you put a decent amount on Adelaide as they should get the win. 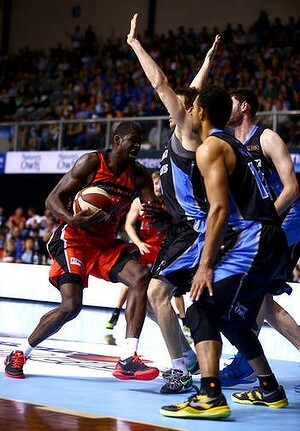 3 hours after on friday night the Perth Wildcats take on the New Zealand Breakers in Perth. The Breakers are coming back into form with back to back wins. Mika Vukona last week was in full beast mode with a near triple double for the Breakers and he will be looking to have another big performance in front of the biggest crowd in the league. In last weeks win in New Zealand the game was fairly rough with the refs taking the league back to last years basketbrawl. This helped the Breakers get the win who have thus far struggled with the new rule altercations. This game may come down to how the umpires ref the game. If they let the teams play it should be a tough match up as both teams like to play hard and physical but if the refs call it close then expect to see the Breakers key players in foul trouble early and the Perth Wildcats to run away with the win on their home court. Im picking the Wildcats to continue their good form with another win, to take it by 5. It should be a great athletic match up between Tom Abercrombie and James Ennis. Last time the Breakers were in Perth they were cutting down the net and im sure the Wildcats are looking forward to the game. It should be a great match and will be a real measure as to how close or far behind the Breakers are from the league leaders. Centrebet has the Breakers to get the win at $4.75 and the Wildcats at $1.18 not really worth a bet due to it coming down to the reffing to decide the win for most games the Breakers play. Saturday night's first game is in Cairns with the Cairns Taipans taking on the Adelaide 36ers. This will be a tough game for the 36ers after a game the night before in Townsville, therefore fatigue may be an issue for the 36ers. However with a team as deep as the 36ers have it wont be as big an issue as it would for other teams in the league. The Cairns Taipans have had a rough start to the season and have lost several close games not to mention last week loss to the Wildcats in over time. The Taipans have a tall team and their centre Alex Loughton has come into form hitting some big shots, but this will be a tough game where they will have to work hard to get the win. The Taipans don't tend to run the ball as much as other teams but i think this will be key to use the 36ers fatigue against them. If Jamar Wilson and Demetri McCamey can run the ball and dont have too many turnovers up against the tough defense of Adam Gibson they may be able to take down the number 2 team in the league. Im going to pick the Taipans to get this win in their home court by 2. It should be a great game. 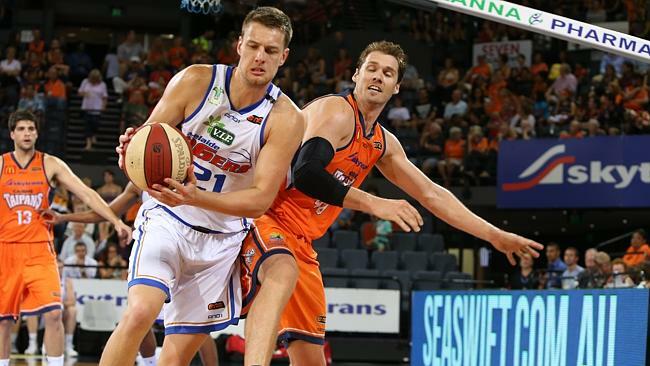 Centrebet has the 36ers to win at $1.55 and the Taipans at $2.45 this could be worth a few dollars with the 36ers coming off a game the night before. The second game of Saturday night will be the Wollongong Hawks hosting the Sydney Kings. The Hawks have a big hole in the team with the loss of their centre Larry Davidson to an ankle injury. In the last few games rebounding has been where the Hawks have lost games and expect to see this one to be similar due to the Kings two big rebounders in AJ Ogilvy and NBA player Sam Young. The Hawks are a very well coached team and have some shooters that can get on fire at any time in rotnei Clark who has proved himself as one of the best offensive players in the league and Oscar Foreman who thus far hasn't had a huge start to the season. For the Hawks to get the win Foremen will have to be hitting some big 3's and Clark as always will be on fire, but Rhys Martin will also have to show his return to form to reduce the impact their lack of size will have. If the Hawks can attack the Kings in the back court it also may help their cause, as Sydney still look to be adjusting to not having a real point guard on the team. Expect to see Sam Young to have a big game with no players on the Hawks roster who can match his athleticism. I'm picking the Kings to get the win by 6. This game centrebet has the Kings to win at $1.55 and the Hawks at $2.45, could be worth a few on the Kings to get your total up a few $$. The last game of the round is in Melbourne with the Melbourne Tigers taking on the New Zealand Breakers. The Tigers are coming off two losses last round against the Breakers and Kings. In last weeks physical battle between these two teams the Breakers managed to get the win with a big fourth quarter performance from the breakers at home. This time its in Melbourne and the Breakers are coming off a tough match in Perth, so fatigue may be an issue for the Breakers. 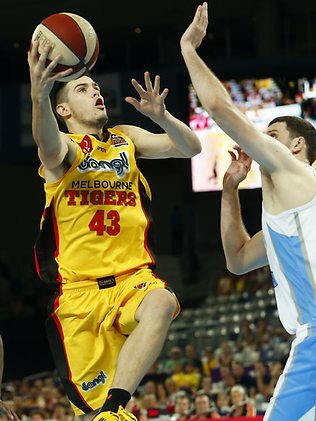 The Tigers will be looking to get revenge from last week and watch out for Chris Goulding too come out fireing. But for the Tigers to get the win a few more players then Chris Goulding will have to an impact on offense. Mark Worthington still looks to be carrying his shoulder injury and has a quiet few games the last couple of rounds. If he starts fireing the Tigers should be able to get the win but if has a quiet one again and the Breakers are able to contain Adam Ballinger the breakers should be able to get a win on the road. This will definitly be a tough game for both teams and a tough one to pick but i'm going with the home team, for the Tigers to win by 4. This is a close game and is definitly a tough one to call and therefor centrebet has given both teams the win at $1.90. Its a few tough games for betting and if your looking at making a few dollars in a multi bet a decent pick might be for Adelaide to beat Townsville, Perth to beat New Zealand, Sydney to beat Wollongong and Cairns to beat Adelaide and this pays out at $6.50. Without the Taipans to win in the multi its all favourites and only pays at $2.65. Good luck to anyone having a punt and any comments are most welcomed.